Jared Jacobs is one of Lucky’s most recent additions to the family. He initially caught my attention when footage of him started popping up in Kenny Griffin videos here and there, and then, when his “Welcome To Lucky” edit dropped it was over. Jared is a young street enthusiast who may be small, but his footage packs some heat. I wanted to shed some light on how this Lucky Am operates and what better way to do so then with an interview? So here it is, the Jared Jacobs interview! Also, if you haven’t seen it yet, you can catch Jared’s “Welcome To Lucky” video below. Enjoy. Blake Bailor: What's up Jared? Can we get an introduction as to who you are for our readers? Jared Jacobs: Well I am 16 years old and I live in Sacramento, CA. I have been riding for just a little under 3 years. I’m just living and shredding here in Sunny California. Blake: That’s awesome! How did you end up getting sponsored by Lucky? Jared: I ended up being sponsored by Lucky after my "Jared Jacobs" video filmed and edited by the greatest dude ever, Damion Black. 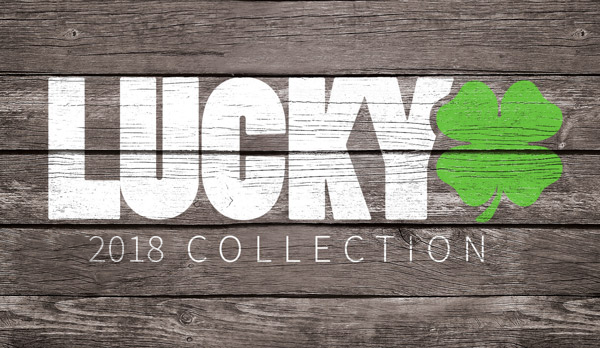 Once it dropped a couple days later I called my good friend Kenny and all of the sudden he was telling me I'm sponsored by Lucky. It was really exciting and I'm beyond glad to be apart of the family. Blake: That’s sweet! It sounds like Kenny had your back on that one. How long did your "Welcome to Lucky Am" video take to film? Jared: My Welcome to Lucky edit took a little over 2 months to finish. Blake: Wow! It’s amazing that you can produce something of that level in such a short amount of time. As an upcoming amateur rider, who have some of your major influences been when it comes to riding? Jared: One of my biggest influences would have to be Kenny Griffin, riding with him makes me want to push myself, when he lands a gnarly trick it just makes me get pumped up and wants me to throw down. Blake: That’s the best ways to get stoked to ride! What gets you the most stoked about being apart of the Lucky crew? Jared: The fact that I even have the opportunity to be apart of such a great company pumps me up. Knowing that I'm apart of this big of a company makes me want to go out and ride. Blake: I totally know where your coming from! Now for the question that I think everyone wants to know the answer to… are you, Kenny Griffin and Damion Black ever not out filming? Jared: When I have school or work, when Kenny is gone or when Damion is working. Probably the only times that we aren't riding. Blake: Well it’s definitely good to see that you guys get as much riding in as you do! When can we expect another full video part from you? Jared: I'm taking my time on this next edit. I couldn't give you an answer yet. Just expect something sick. Blake: Oh boy! I can’t wait to see it when it drops. Thanks for your time dude! Any last words? Jared: Thank you very much Blake and to everyone out there, keep riding and doing what you love. Oh yeah and have $w@g.